Product categories of Patio Furniture Sets, we are specialized manufacturers from China, Patio Furniture Sets, Outdoor Patio Furniture suppliers/factory, wholesale high-quality products of Patio Chairs R & D and manufacturing, we have the perfect after-sales service and technical support. Look forward to your cooperation! 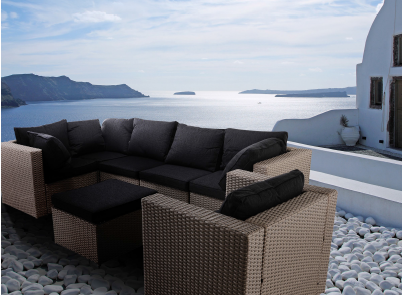 We offer a wide choice of different types of Patio furniture collections, which cover garden rattan sofa, outdoor dining set, chat set, rattan bar set. With splendid style and smooth line, every details and quality is presently perfectly. Excellent surface treatment process and the selection of products for climate and UV have long-term protection ability, getting more than your money`s worth.